One of the most eagerly anticipated and prolific producers of the moment, Glimpse, releases his debut album on Crosstown Rebels. 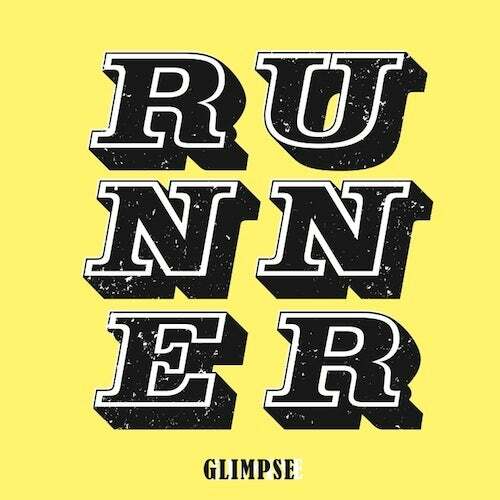 Glimpse's album 'Runner' is a truly inspiring, superb album that weaves elements of jazz and soul with house and techno to create something wholly innovative and mesmerising. Already hotly tipped by DJ Mag and Mixmag, Glimpse's album 'Runner' is an amazing body of work that is sure to become one of the albums of the year. Glimpse is a DJ and producers favourite, a true innovator who is able to explore and master various genres in his own inimitable style. Blurring the distinctions of traditional genres, he appeals to even the most obstinate listeners through his tireless dedication to continual reinvention. His debut studio album is a beguiling, heady mix of house music drawing on the true essence of its rudimentary influences to produce an album of true magic. Runner is the conclusion of a decade of production for Glimpse. Touching on the experimental improvisation of jazz, with the endless spiraling loops and fluid instrumental solos of Feel OK and I Know I Show It, while flirting with the purity of world music in the ethnic outcries of Alone Again, and the marimba driven opener Walk Tall. A new album version of the single release, If I Was Your Girl, comes decked with opulent vocal harmonies and compliments the subsequent energy-charged Things To Do In Denver, both scored with a rough and urban edge. Still rooted in the underground, Runner concludes with the dubby electronica cuts, Enjoyable Employable, and the crackling sparks of Thank You, before the mystical terrain of Train In Austria proclaims the final curtain. Christopher Spero (AKA Glimpse) has been bubbling gently amidst the waves of the underground dance scene for the past few years, with records released on Carl Craigs Planet E, Cadenza, Kindisch and Buzzin Fly last year alone.